The grafting of bone in skeletal reconstruction has become a common task of the orthopedic surgeon. The need for reconstruction or replacement is often the result of trauma, congenital malformations, or cancer. Reconstructive surgery is based upon the principle of replacing defective tissue with viable, functioning alternatives. Various materials have been used to treat the defects, including autogenous bone and alloplastic materials. Grafting materials are necessary to bridge defects or to increase the bone volume. At present, autologous bone is the gold standard, but it has important disadvantages, including donor-site morbidity, limited availability, and unpredictable resorption characteristics. 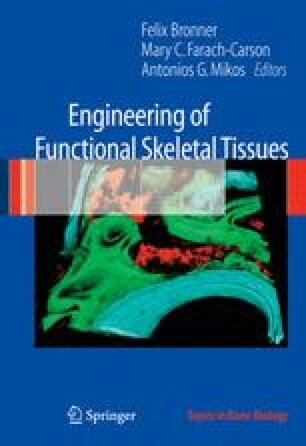 These factors have stimulated the search for other materials that can replace autogenous bone.